Earn money from shorten URL is one of the easiest method in which you do not require any technical skills, it is the simple method from which you can earn money online. Those people who don’t know about how to make money online can use this service and can make some money through this service. It is very easy process just convert any of your URL like your links in blog, websites, Facebook, Google or other links and promote it any where you want. When anyone clicks on your given URL then Short links wait for 5 seconds it will redirects toward original destination link. So it is the way company can pay you, the rates depend on the companies because there are many different URL shortener to earn money which have different rates. Companies are pay maximum in between $1 to $10 per 1000 views on a URL and they have also referral system by joining other persons from your referrals and they will give you maximum 20% commission. 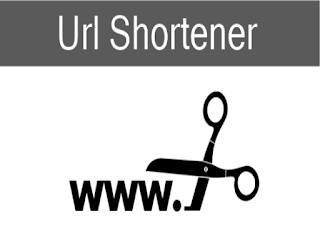 So, here we have find some URL shortener to earn money from which you can earn money by promoting Short links. Best URL Shortener To Earn Money. Adfly is old and one of the best trusted company which is pays on time. You can get approx $5 per 1000 views by promoting your shorten URL. The main thing we like about Adfly is that the minimum payout is $5 which is best than other companies. It is a trusted company and you can get your payment through Paypal. Most of the people use Adfly because it is an old and legal, trusted company to earn money on short links and which takes best care of it’s customers. Shorte.st is another most popular URL shortening company and It will give you $2 per 1000 views for promoting Shorten URL and the minimum cash out is 5$. If your are not satisfied with payout then you can earn money from referral system It will gives you 20% commissions on referrals. Shorte.st is a user friendly and you can securely get your payment through Paypal and Payoneer. It has a good payout rates and it is a good platform to earn money on short links. Beside this shorte.st have also affiliate programs It gives you great ads format and you can promote on your blog or website. Linkshrink pays 2$ to 5$ and the minimum payout is 5$. It is another good platform to earn money on short links. Through referral system you can get 10% commission from your referral. It is the best and innovative company which pays good rates to it’s customers. You can register free and earn money to share your links on internet. Ouo.io is another fastest growing new network with amazing features and service to earn money on short links. Ouo.io offer upto $5 per 1000 views and they guaranties for minimum $1.50 for 1000 views. Minimum Payout is $5 via PayPal and other payment methods are also available. Shink is another popular site shorten URL to earn money. Shink provide good rates according to traffic location. It provides various features which are helpful in earning decent money from short links. It also provides tools for mass shrinker, API integration, full page script also have referral program in which they provide 10% commission for lifetime. Short.am is another URL short network to shorten URLs and earn money. This is fastest growing network just because they offer better rates, features and interface which attract users. You can earn upto $3 from short.am for 1000 views. Minimum Payout is $5 via Paypal. It is a modern URL shorten where we can earn money on short links. You get paid by share your links on the Internet. You can register free account and start shrinking. Every person that visits your URLs and click on your URL, you will get paid. You can Place your short urls on Social media, forums, websites and on more. It will pay you up to $12 per 1000 visits and you can also get 20% commission from your referrals. Linkbucks is another best and legal site to shorten URLs and earn money. It is the number one competitor of Adf.ly. It has great Google page rank and very high Alexa ranking. By promoting your Shorten URL you can get 0.5$ to 3$. The minimum payout is 10$. Linkbucks has paid out more than $1.2 Million USD. Other competitors only pay for unique traffic while Linkbucks pay for all your traffic. Advertising programs are also there, so you can advertising with linkbucks. Adyou.me is a URL shortening company to shorten URL and earn money. Create an account and share your short URL on websites, blogs, social media, forums etc and you will get paid. The Adyou.me pays 1$ to 3$ per 1000 views. You will get paid by sharing your links on the web you can register free on Adyou.me and earn money online without any skills just by share your links. You can also get commission from your referrals. Al.ly is another URL shortening service to earn money on short links. Al.ly offer rates between $1-$10 for different regions. Al.ly having 3 different account format in basic one is free and other with advance features are premium. Al.ly also have refer program where they provide 20% commission rates. Minimum payout is $1 via paypal, payza and $20 via payoneer payment. Admy.link is a free short URL shortener for adult links. If you are promoting links which is for 18+ users then this network will perform better. The minimum payout is $5 on monthly bases. Admy.link also provide various tools like other for mass shrinking, full page script for website. So basically it seem good short URL network. Clk.im is one of the best networks to earn money on short links. This network is fully integrated with amazing features. Clk.im has two different service plan to create account. You can join them as free user but if you want to advances features then you need to upgrade account from free to premium. In premium account you can place your own custom ads and affiliates products. Which we think is totally an earn earn situation. They offer good rates for sharing. They also have amazing refer from where you can earn 5% commission from referral for lifetime and also extra $25 if refer user update to premium account. Another new service for URL shortener to make money. Currently they are offering good rates according to regional based. We can easily check payout rates for CPM. Link-earn also provides various tools like quick links, mass shrinker, API integration, Full Page Script. They are using Interstitial advertising format. For marketers they also have referral program. Overall this short URL services seems good. Adhy.pe is another service to earn money on short links. Interface is quiet impressive. Most important feature which like in this platform is real time statistics. They provide mash URL shrinking, link protection service and page script for creating short URL. Adhy.pe is new founded and fastest growing service with good interface. If you want to shorten adult links then they have separate feature for this. Minimum payout of adhy.pe is $10 via PayPal. UrlCash.Net is another shorter service to earn money on short links. If you have any website or blog then urlcash is for you. It allows you to create script which will convert website URL into money URL. There any many features available in urlcash. They pay pending balance on daily bases. It is another URL shortening service with other different ad format like banner ads and interstitial ads. Basically CoinURL is for webmasters or blogger who want to user money from they site or blog. This service is complete set of all those features which gives you money for promoting short urls. CoinURL is one of the famous network. Their refer program is best as compared to other networks. What Is URL Shortening ? 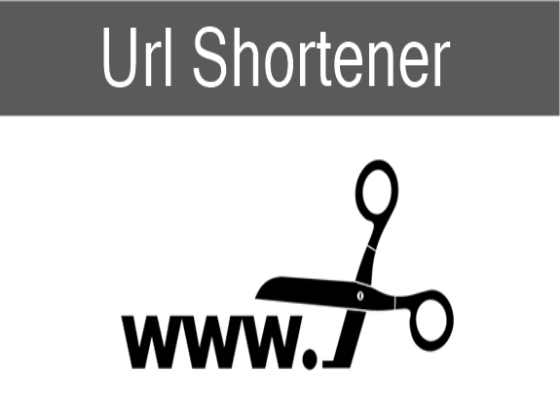 In URL shortening you can convert your large URL into a short URL. It is very helpful because if you want to promote any link which is very large and sometimes it become difficult for us to remember the link but with the help of URL shortener service we can convert them into short URL then we can easily copy the link. Just like we use Bit.ly or Google URL short service but they does even pay single penny for sharing. You have to just go and join URL shortener networks given above and take any link which you want to promote and place on the box and then click on shrink it will shrink or convert your large link into short URL which you can promote further. For More details check about how to earn money from short links. According to us the above networks are best according to different traffic location. So we recommend to join and test each and every network performance one by one and choose which fit best for you. This article is created by SafeTricks.com. We hope you like these link short link sites. If you have any best URL shortener network which we have skipped, please leave you comment we will review and update it as soon as possible. COUNT MORE THAN 1 IP / 24H !